WHY ULUWATU CHALLENGE 2018 WAS THE BEST EVER? Johanne Defay (FRA) and Willian Cardoso (BRA) have won through a marathon day of surfing at the Uluwatu CT, the make-up event for Stop No. 3 on the World Surf League (WSL) Championship Tour (CT) on Bali’s Bukit Peninsula. The iconic lefthander dished up pumping 4-to-6 foot (1.4 - 2 metre) waves for the Final day of competition that started running just after sunrise and saw the final siren sound moments before the sunset. 2018 CT Rookie Cardoso was the in-form surfer of the event, posting massive scores and dominating performances over both days of competition. The Final was no different as he came up against World Title threat Julian Wilson (AUS). Wilson kept busy in the Final, catching a number of waves, but struggled to find anything of substance, while the Brasilian picked off set waves and demolished them to post a 15.57 (out of a possible 20) heat total. After a frustratingly close loss in the Quarterfinals of the Corona Bali Protected, Cardoso was determined to not let another shot at a CT win slip through his grasp, and although Wilson put in a solid last ditch effort to grab the lead, Cardoso seemed destined to take the win. Cardoso competed on the CT in 2015 as an injury replacement, but at 32-years-old is a rookie this season after a long Qualifying Series campaign. The Santa Catarina, Brazil local, claimed an emphatic win in pumping surf over some serious competitors to rocket 11 spots up the Jeep Leaderboard, from 16th to 5th. Caption: Willian Cardoso is chaired to victory at his maiden CT win. The women’s Final was an all-time, goofy versus natural-footer battle as Defay came up against 2018’s most consistent surfer Tatiana Weston-Webb (BRA) at the Uluwatu racetrack. Weston-Webb looked in control of the 35-minute Final as Defay struggled to post the score she needed to take the lead. In the final minute, Defay found a set and went to work, narrowly flying past Weston-Webb by just 0.46 points, to take her first CT win since the Fiji Pro in 2016. With the third CT victory of her career, Defay moves into 5th place on the Jeep Leaderboard. Caption: Johanne Defay (FRA) taking the third CT victory of her career at the Uluwatu CT. Although Wilson did not finish on top of the podium, he redeemed himself from a disappointing finish at the Corona Bali Protected last week. Another Final appearance this year places the Australian back on top of the Jeep Leaderboard as he chases his maiden WSL Title in 2018. Although Weston-Webb came short in the Final, her campaign through both events in Bali was phenomenal, taking down Stephanie Gilmore (AUS) in the Semifinals at Uluwatu and in the Quarterfinals at the Corona Bali Protected. Weston-Webb’s second runner-up finish for 2018 solidifies her position in 3rd place on the Jeep Leaderboard. The women’s Semifinal saw two Australian powerhouses, six-time WSL Champion Gilmore and reigning, two-time WSL Champion Tyler Wright (AUS) bow out with Equal 3rd place finishes. With this finish, Gilmore narrows the gap on the Jeep Leaderboard, now only 55 points behind current Jeep Ranking’s Leader Lakey Peterson (USA), who finished in Equal 5th at the Uluwatu CT and is now sitting in 4th on the Jeep Leaderboard. On his way to the Final, Cardoso needed to overcome the rampant wildcard Mikey Wright (AUS), who continued his history-making run at the elite level, finishing Equal 3rd at the Uluwatu CT. All year, Wright has been known for big upsets against top seeds, and he continued the trend today by taking down 2014 WSL Champion Gabriel Medina (BRA). Wright now sits at 7th on the Jeep Leaderboard and is in good stead to qualify for the 2019 CT as a full-time competitor. The Uluwatu CT was called on after the cancellation of the Margaret River Pro in April. The competitors’ results and points for this event will be counted toward finishing the canceled event. 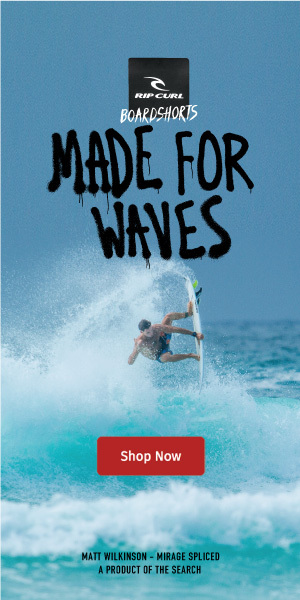 The Uluwatu CT event is proudly supported by Jeep, Corona, Hurley, Boost Mobile and AirAsia. The next stop on the WSL CT will be the Corona Open J-Bay, which opens July 2, 2018 for the men's and July 6, 2018 for the women's.